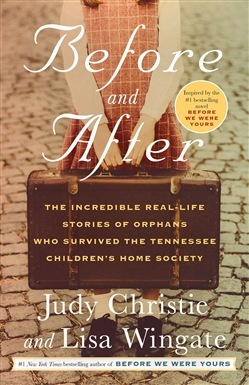 The incredible, poignant true stories of victims of a notorious adoption scandal—some of whom learned the truth from Lisa Wingate’s bestselling novel Before We Were Yours and were reunited with birth family members as a result of its wide reach From the 1920s to 1950, Georgia Tann ran a black-market baby business at the Tennessee Children’s Home Society in Memphis. She offered up more than 5,000 orphans tailored to the wish lists of eager parents—hiding the fact that many weren’t orphans at all, but stolen sons and daughters of poor families, desperate single mothers, and women told in maternity wards that their babies had died. The publication of Lisa Wingate’s novel Before We Were Yours brought new awareness of Tann’s lucrative career in child trafficking. Adoptees who knew little about their pasts gained insight into the startling facts behind their family histories. Encouraged by their contact with Wingate and award-winning journalist Judy Christie, who documented the stories of fifteen adoptees in this book, many determined Tann survivors set out to trace their roots and find their birth families. 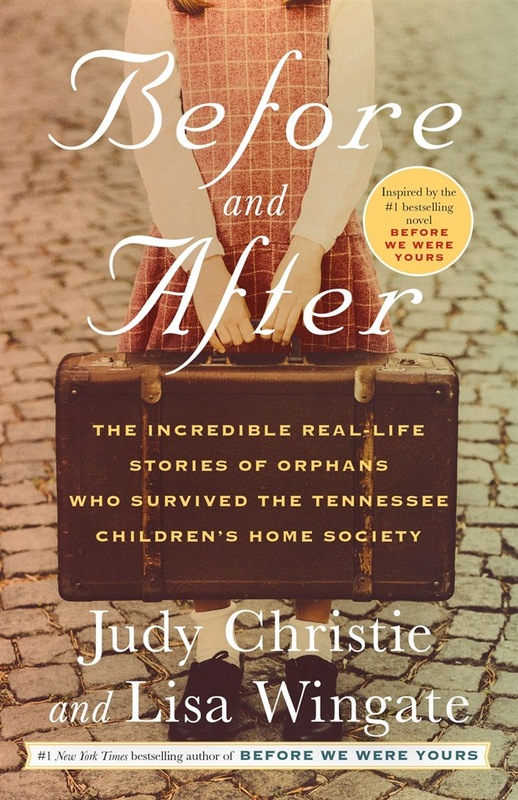 Before and After includes moving and sometimes shocking accounts of the ways in which adoptees were separated from their first families. Often raised as only children, many have joyfully reunited with siblings in the final decades of their lives. In Before and After, Wingate and Christie tell of first meetings that are all the sweeter and more intense for time missed and of families from very different social backgrounds reaching out to embrace better-late-than-never brothers, sisters, and cousins. In a poignant culmination of art meeting life, long-silent victims of the tragically corrupt system return to Memphis with Wingate and Christie to reclaim their stories at a Tennessee Children’s Home Society reunion . . . with extraordinary results. Acquista Before and After in Epub: dopo aver letto l’ebook Before and After di Lisa Wingate, Judy Christie ti invitiamo a lasciarci una Recensione qui sotto: sarà utile agli utenti che non abbiano ancora letto questo libro e che vogliano avere delle opinioni altrui. L’opinione su di un libro è molto soggettiva e per questo leggere eventuali recensioni negative non ci dovrà frenare dall’acquisto, anzi dovrà spingerci ad acquistare il libro in fretta per poter dire la nostra ed eventualmente smentire quanto commentato da altri, contribuendo ad arricchire più possibile i commenti e dare sempre più spunti di confronto al pubblico online.